Newly appointed Minister for Human Resource Development (HRD) Ms. Smriti Irani met six Directors of the Indian Institutes of Technology, in order to understand their problems. The IIT Directors gave her a detailed report, and also gave a few suggestions regarding areas of improvement. 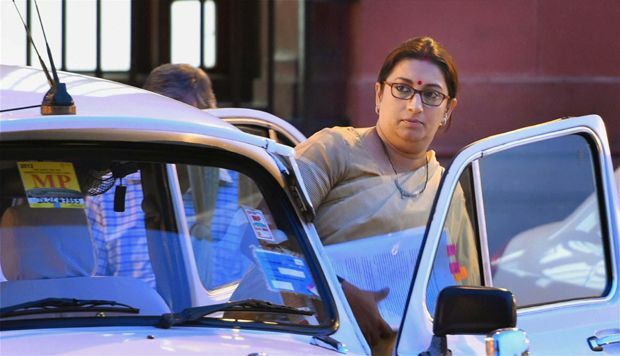 The HRD minister has reportedly planned a retreat with the Directors, in which she would discuss issues with them in greater detail. Speaking to the media after the meeting, one of the Directors remarked that Ms. Irani was very well informed and positive in the interaction. The BJP has promised an IIT in every state in its election manifesto. Moving in the general direction pointed out by the manifesto, the HRD Minister is due to visit one of the newer institutions, IIT Gandhinagar in Gujrat. In other initiatives, Ms. Irani met Mr. Vineet Joshi, director of the Central Board for Secondary Education (CBSE) today. She has also held talks with students from the Schools of Planning and Architecture (SPA), Bhopal and Vijaywada and IIIT Kancheepuram, who have been waiting for their final degrees since 2005. The 38 year old minister was recently embroiled in a controversy when a leader of the Congress party Mr. Ajay Maken, had questioned her educational qualifications and credentials, insinuating that Ms. Irani was not a worthy choice for the post of HRD minister. Ms. Irani has requested the Indian public to judge her by her work, and not by her qualifications. Looking at the speed and efficiency with which she is progressing, Ms. Irani seems determined to prove her point to her opponents and to the public at large! « True Story Of A Software Engineer !